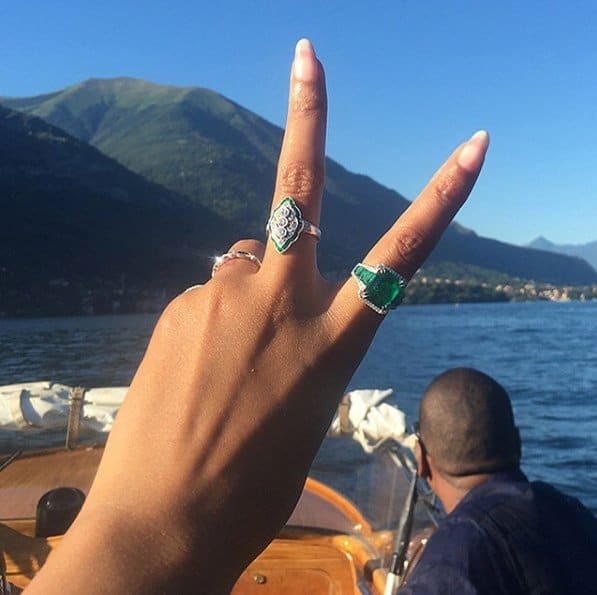 Beyonce is giving us some serious travel envy. 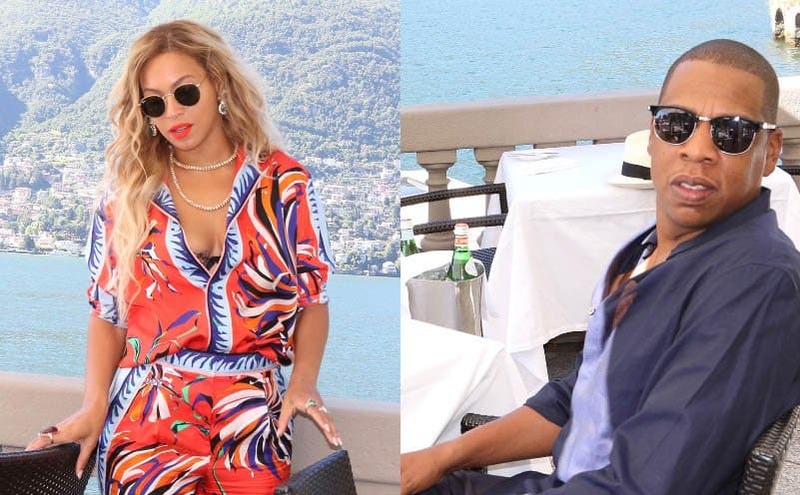 The queen of hip-hop is still on a world tour for her Lemonade album, and she has been exploring Europe with her husband and baby Blue Ivy. 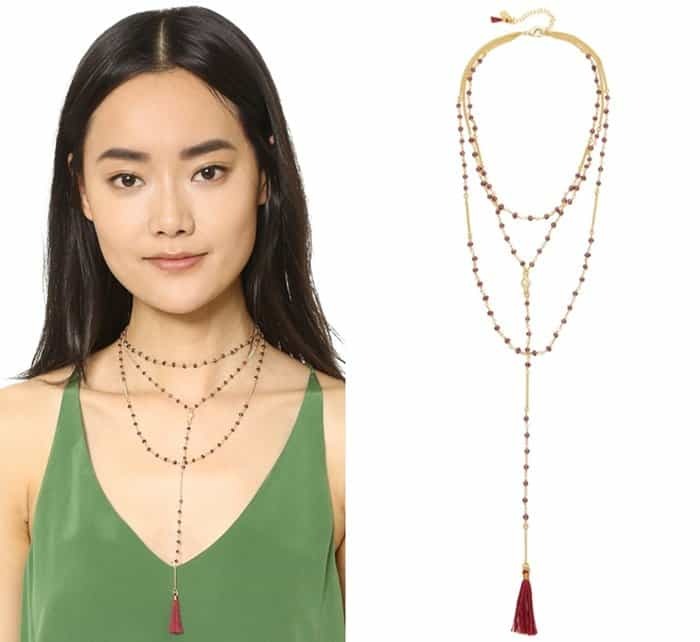 Not only is she touring in the most beautiful cities, but she has also been rocking some gorgeous looks — including matching dresses with Blue Ivy and drool-worthy jewelry pieces. 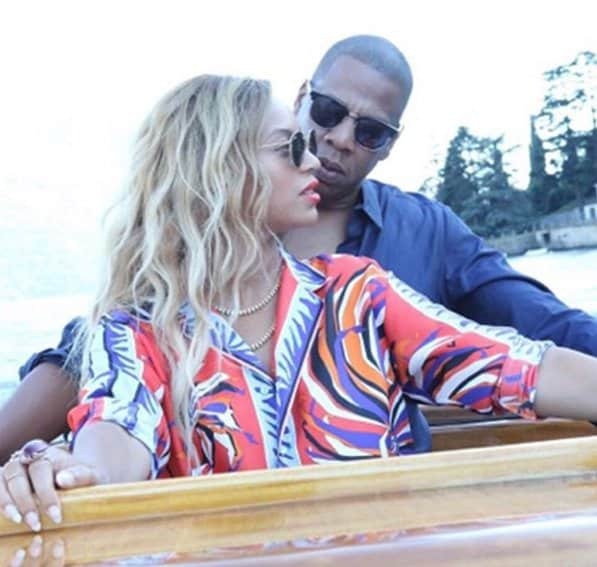 In some recent posts on Instagram and her website, Beyonce shared sweet photos of her and hubby while on vacation. 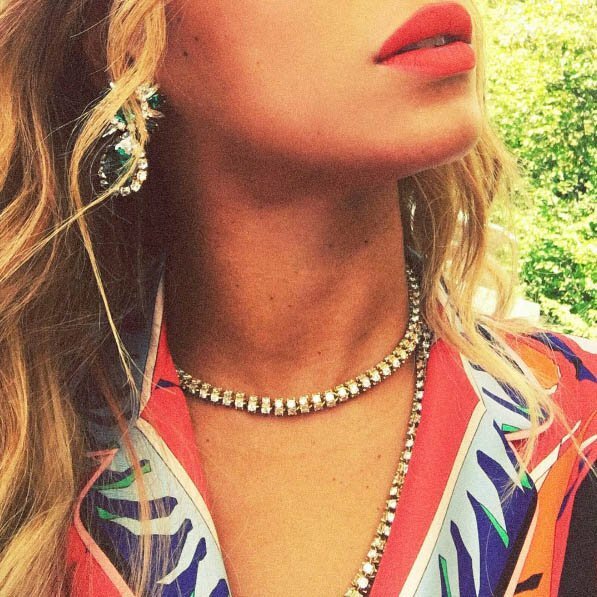 Of course, Bey was dressed to impress, sporting a multicolored summer outfit that she decorated with beautiful baubles. Bey added glitz to her vibrant outfit with a double layered necklace and several emerald and diamond pieces for earrings and rings. We’re loving this outfit and accessory pairing; it is season-appropriate and still very classy. 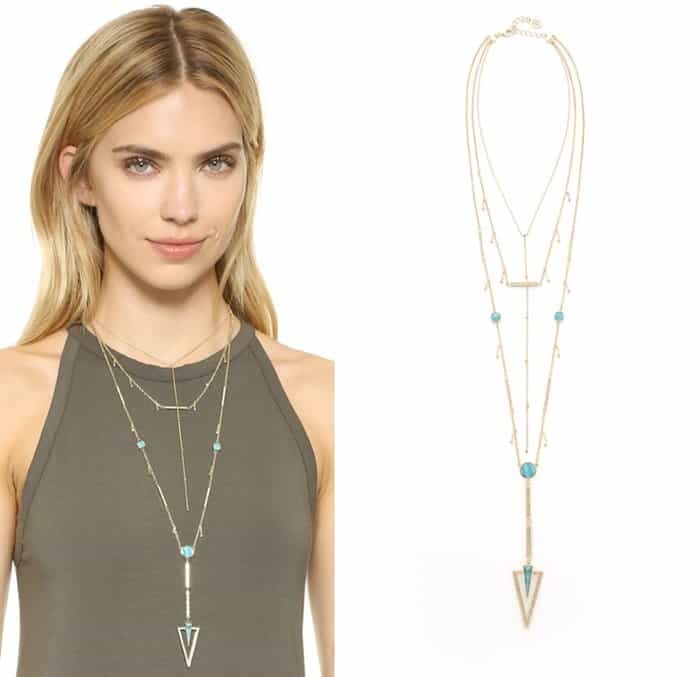 Love the layered necklace look? 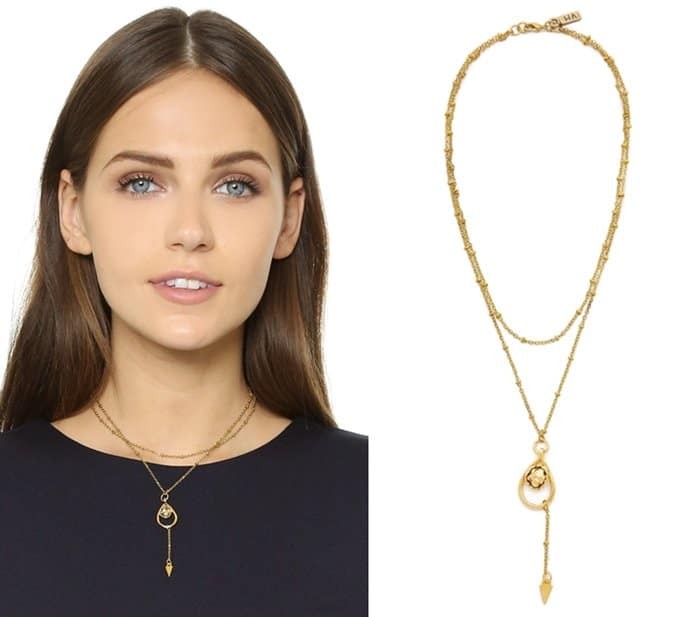 Copy Bey’s vacation outfit style with the pretty necklaces below.